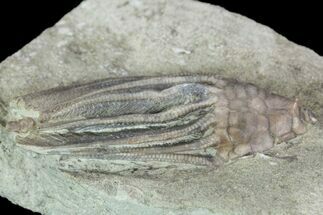 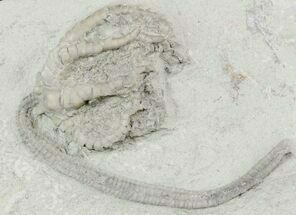 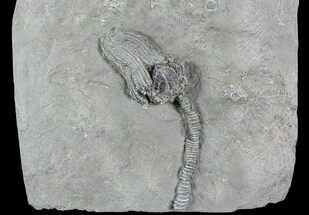 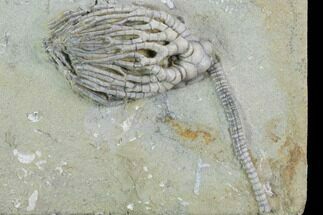 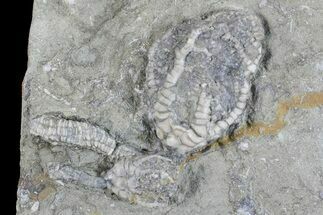 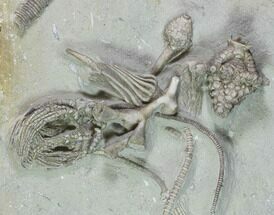 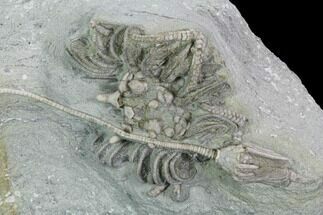 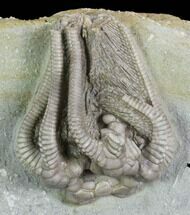 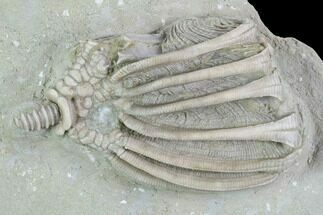 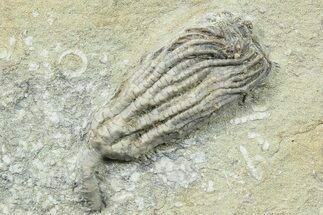 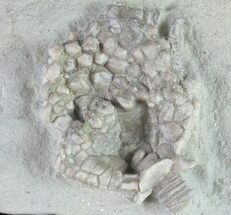 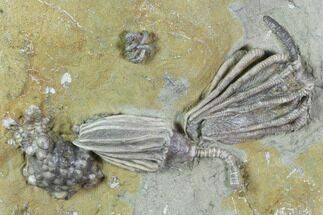 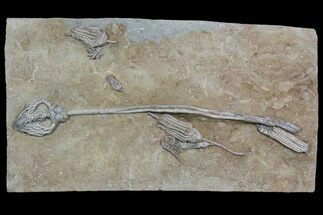 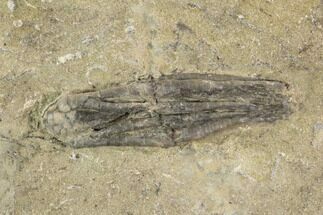 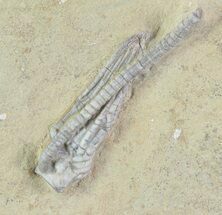 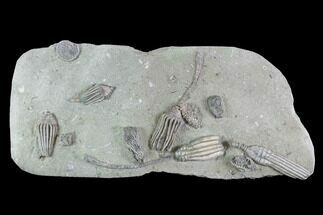 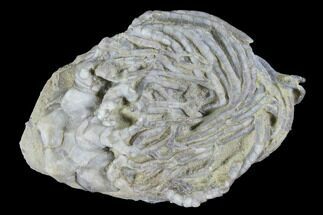 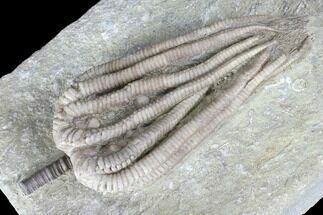 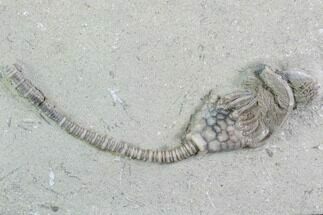 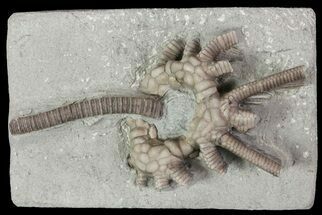 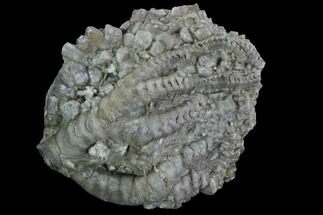 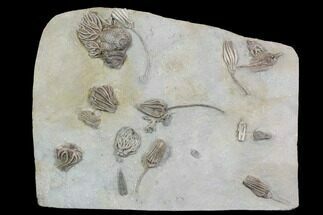 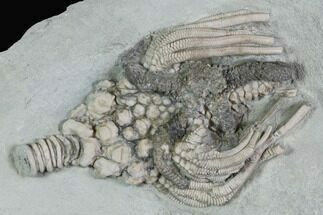 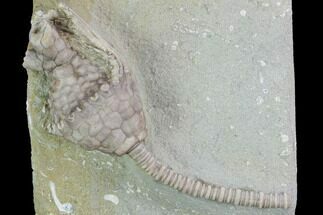 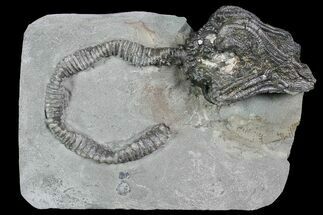 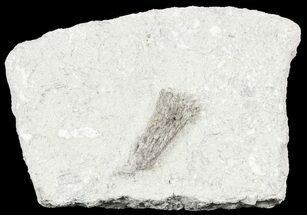 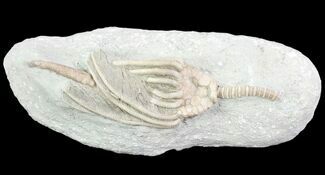 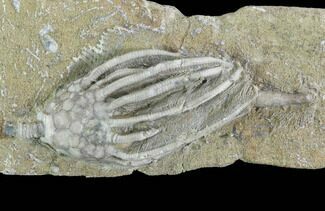 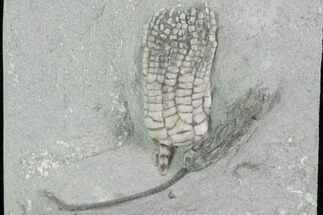 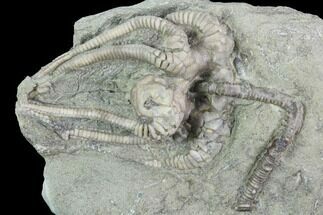 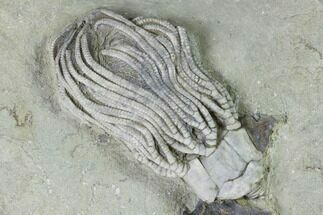 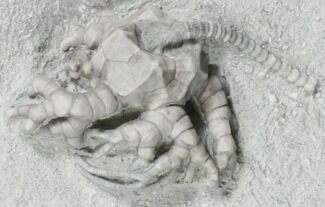 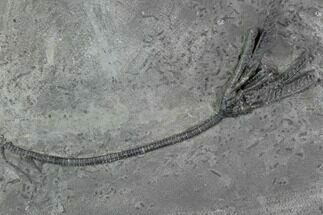 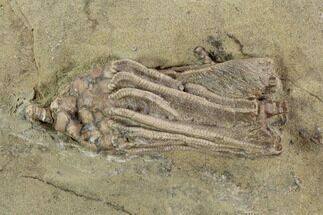 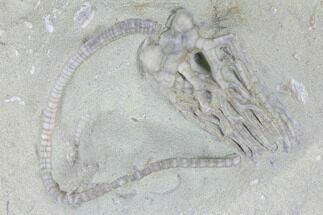 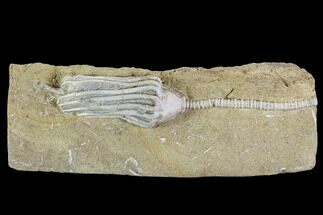 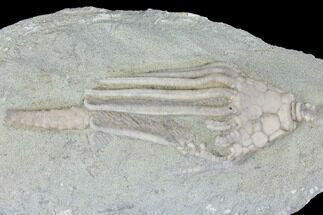 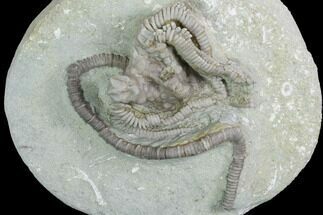 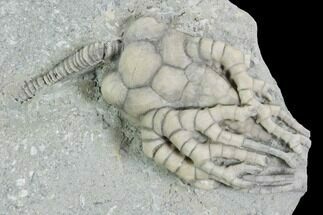 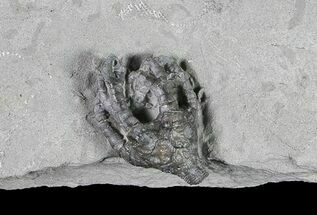 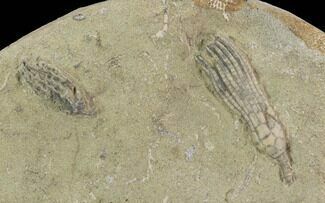 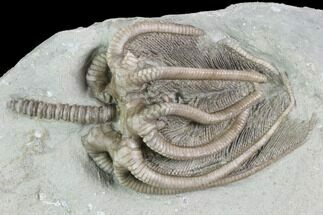 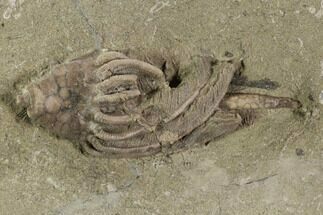 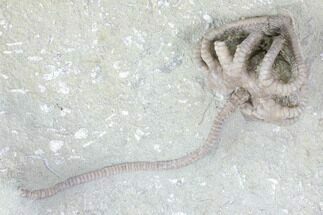 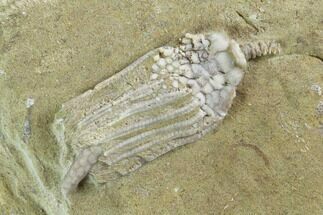 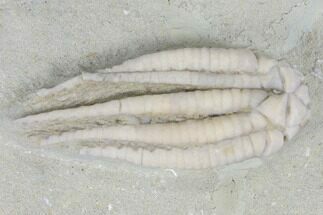 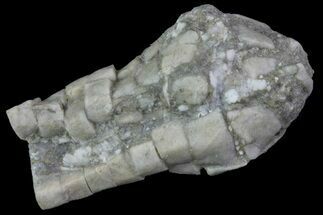 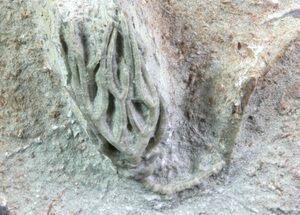 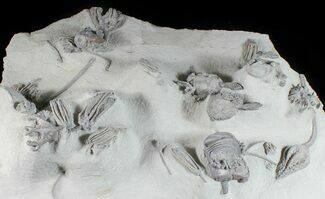 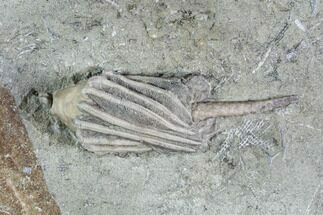 Crawfordsville, Indiana is world renown for producing some of the most spectacular crinoid fossils in the world. 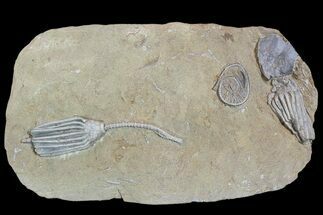 There are more than 60 different species known from the Lower Mississippian (~340 million year old) Edwardsville Formation. 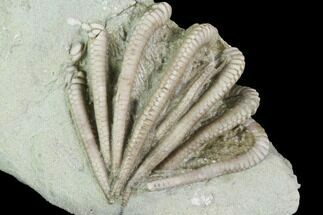 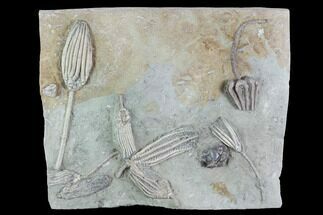 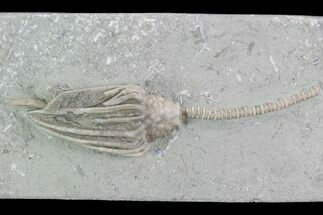 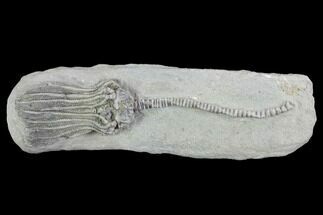 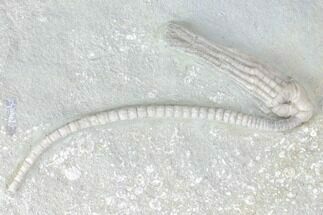 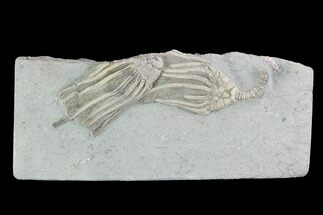 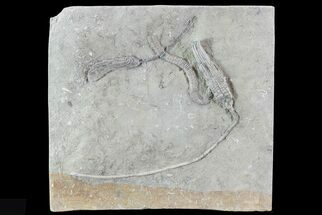 These crinoids when properly prepared are preserved in beautiful, three dimensional relief against the surrounding matrix.